Does NomNomNow deliver on its promises of better food, better health, and unparalleled customer care? Find out in our unbiased NomNomNow cat food review. We’ve analyzed NomNomNow and graded it according to the We’re All About Cats standard, evaluating the brand on species-appropriateness, ingredient quality, product variety, price, customer experience, and recall history. Here’s how it rates in each of these six key areas. We give NomNomNow cat food a 48 out of 60 rating or an A- grade. NomNomNow is a company that makes fresh, human-grade meals, portions them out according to your cat’s needs, and ships them to your front door. Almost every aspect of the NomNomNow experience is personalized, from specially-portioned food to custom delivery schedules to an engaged customer care team. In 2013, NomNomNow co-founders Nate, Zach, and Alex adopted a pair of mini Australian Shepherds named Harlee and Mim. About a year after she was adopted, Harlee developed health issues and eventually a compromised immune system. Her veterinarian said a fresh diet might help. After realizing that nothing on the pet food aisle would suffice, Nate, Zach, and Alex started cooking fresh dog food. Harlee’s health improved and their friends and family liked the food, too. Recognizing a market for fresh dog food, the trio enlisted the help of veterinary nutritionist Dr. Justin Shmalberg to formulate fresh dog food for a larger market. When the company began in 2015, NomNomNow only made food for dogs. 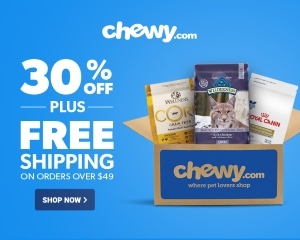 They launched their cat food line in 2018 and, according to CEO Nate Phillips, are now set on becoming a “top to bottom pet health products and services company, with an emphasis on customization and nutrition”. Thanks to NomNomNow’s staff experts—including a veterinary nutritionist and a microbiologist—the company is able to provide personalized nutrition advice and guidance for each customer. When you create your NomNomNow account, you’re assigned an account manager and given access to the company’s team of pet nutrition experts. If you have any questions, the customer care team is always available to share nutrition advice. The company uses only fresh USDA-certified ingredients sourced by local restaurant suppliers. Their vitamins are also human-grade and sourced from the United States. The company inspects every ingredient that comes into their kitchens. If it doesn’t meet their ingredient quality standards, it’s rejected and not used in the food. NomNomNow cat food is made in the company’s FDA-inspected human-grade facilities in San Francisco, California and Nashville, Tennessee. Each week, NomNomNow cat food is made to order in small batches. Because the company only cooks enough food to satisfy customer orders, their facilities produce zero food waste. Each meal is portioned out according to your cat’s weight, age, and weight goals. Within days of cooking, the food is packed into a refrigerated box and shipped fresh, not frozen. Has NomNomNow cat food been recalled? NomNomNow cat food has never been recalled. What kinds of cat food does NomNomNow offer? NomNomNow’s cat food line includes two recipes—Chicken Chow Meow and Flavorful Fish Feast. Both of these recipes are fully human-grade and made primarily from fresh poultry or fish. The meat is cooked and mixed with fruits and vegetables. The recipes come packed in single-serving packets, making it easy to serve your cat the right amount at each meal. NomNomNow foods are simply-made with short ingredient lists. They don’t contain any artificial colors, flavors, preservatives, or other additives that might harm your cat. All NomNomNow foods are formulated to meet the nutritional levels established by the AAFCO Cat Food Nutrient Profiles for all life stages. Chicken appears to be the primary protein source in this fresh cat food. NomNomNow’s chicken recipe includes varied cuts of chicken muscle meat and organs. The first ingredient is chicken thigh, a nutrient-dense cut of dark meat. The second is chicken breast, which is rich in protein and other nutrients. Chicken liver is added as a source of vitamins and minerals. The fourth ingredient is carrot, which increases the food’s carbohydrate content and, according to NomNomNow, is a source of beta carotene and serves as an antioxidant. Unlike herbivores and omnivores, cats can’t convert beta carotene into vitamin A and require the vitamin in its preformed state—from meat. Spinach and asparagus are added as sources of other vitamins and minerals. NomNomNow says that spinach helps to boost the immune system and strengthen the digestive system. According to NomNomNow, cantaloupe is rich in vitamins, minerals, antioxidants, and, curiously, amino acids. Note that cantaloupe is not a significant source of protein, and even if it was, plant protein isn’t ideal for cats. Finally, the food is fortified with NomNomNutrient Mix, a nutrient blend including essential vitamins, minerals, and amino acids. Overall, this is a meat-based food with high protein content, moderate fat, and low carbohydrate content. Each ounce of Chicken Chow Meow has about 33 calories. Chicken Thigh, Chicken Breast, Chicken Liver, Carrot, Asparagus, Cantaloupe, Spinach, Dicalcium Phosphate, Calcium Carbonate, Salt, Taurine, Choline Bitartrate, Zinc Gluconate, Ferrous Sulfate, Vitamin E Supplement, Copper Gluconate, Manganese Gluconate, Thiamine Mononitrate (Vitamin B1), Selenium Yeast, Riboflavin (Vitamin B2), Vitamin B12 Supplement, Cholecalciferol (Source Of Vitamin D3), Potassium Iodide. Tilapia appears to be the primary protein source in this fresh cat food. NomNomNow’s Flavorful Fish Feast recipe is made primarily from tilapia and salmon. Though fish’s tendency towards heavy metal contamination and toxicity makes it a less-than-ideal mainstay of a cat’s diet, tilapia and salmon are rich in omega-3 fatty acids and nourishing protein. Beef fat is included as a species-appropriate source of choline and unsaturated fatty acids. The ingredient list goes on to include two vegetables. The first is cassava root or yuca, which NomNomNow describes as a source of calcium, vitamin C, and minerals. The second is carrot. The company says carrots are included as a source of beta carotene, but cats can’t convert beta carotene into vitamin A. Ideally, cats should get preformed vitamin A from animal sources. After the primary ingredients, the food contains what the company calls their NomNomNutrient Mix, which consists of essential vitamins, minerals, and amino acids. Overall, this is a fish-based food rich in animal-sourced protein with moderate fat content and low carbohydrate content. NomNomNow Flavorful Fish Feast contains about 39 calories per ounce. Tilapia, Salmon, Beef Fat, Cassava Root, Carrot, Dicalcium Phosphate, Calcium Carbonate, Salt, Taurine, Choline Bitartrate, Zinc Gluconate, Ferrous Sulfate, Vitamin E Supplement, Copper Gluconate, Manganese Gluconate, Vitamin A Supplement, Thiamine Mononitrate (Vitamin B1), Selenium Yeast, Riboflavin (Vitamin B2), Vitamin B12 Supplement, Cholecalciferol (Source Of Vitamin D3), Potassium Iodide. What do customers think of NomNomNow cat food? 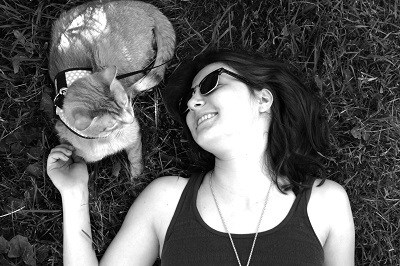 NomNomNow cat food is a newcomer to the industry, and it’s been received with smiles and purrs. People and their cats seem to love NomNomNow cat food. While the brand has plenty of reviews from bloggers, it’s more of a challenge to find reviews from NomNomNow buyers. At this time, NomNomNow’s Consumer Affairs page is the most reliable source of verified buyer reviews. NomNomNow has received 129 ratings in the last year and has earned an overall satisfaction rating of 4.5 out of 5 stars. Note that NomNomNow is a Consumer Affairs Accredited Brand, which may bring their excellent rating into question. Every NomNomNow subscription is priced slightly differently. Your costs will vary based on your cat’s weight, your delivery frequency, your cat’s unique needs, and whether or not you have a multiple-cat home. Across all variables, NomNomNow usually costs between $2 and $6 per day. Using an 8-9 lb cat as a reference point, a weekly delivery plan would cost about $4.31 per day, delivery every other month would break down to $3.18 per day, and those who opt for a monthly delivery plan will see their daily feeding costs drop to about $2.62 per day. Each subscription plan is different and your costs may differ from these approximations. Overall, is NomNomNow a good choice? NomNomNow cat food is a good choice for anyone who wants fresher, simpler, more species-appropriate food than the dry and canned fare sold in pet stores and on grocery shelves. If you’ve considered making homemade cat food but don’t have the time or energy to do so, NomNomNow is a fantastic option. They’ve done the research and taken the time to formulate simple, homemade-style foods so you don’t have to. Convenience-oriented people will also appreciate the subscription model, which allows you to receive a batch of cat food according to a set schedule. NomNomNow is an excellent choice for cats with health issues. Diabetic cats will appreciate the low carbohydrate content, cats with IBD will value its digestibility, and people struggling to find the right food for their cats’ needs will appreciate the ability to consult the company’s team of nutritional experts. In fact, if you have a cat with health issues, you’re invited to send NomNomNow your cat’s latest lab results to receive expert analysis and dietary advice. But NomNomNow isn’t for everyone. NomNomNow’s biggest drawback is its price. While NomNomNow cat food is lower-priced than commercial raw diets, some freeze-dried foods, and some top-tier canned products, it’s not cheap. For some, the convenience, service, and quality are worth it, but others may prefer to look for more economical alternatives. Secondly, the subscription model isn’t ideal for everyone. It’s not available to anyone living outside of the 48 contiguous United States. Even if you live within NomNomNow’s delivery zone, you might not be up for the commitment of a cat food subscription. Finally, NomNomNow’s cat food lineup lacks variety. 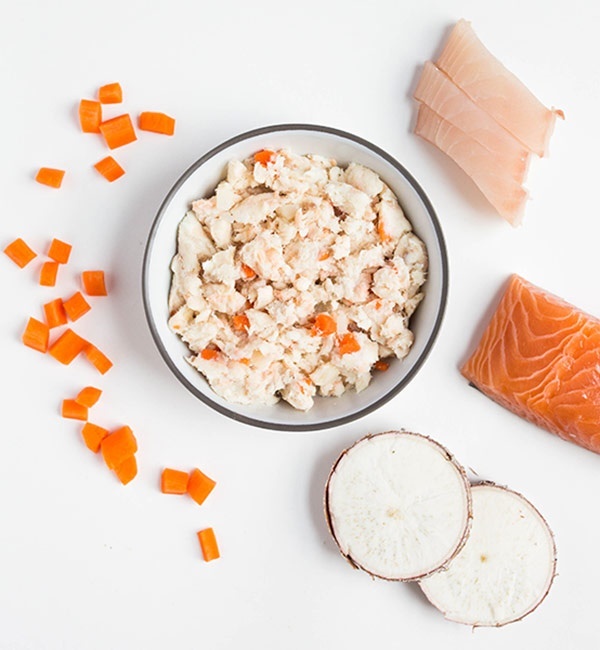 With only two recipes—one made with chicken and the other focusing on fish—NomNomNow may not have enough recipes to accommodate cats with food sensitivities or selective palates. How do you order NomNomNow cat food? NomNomNow cat food is available through the company’s subscription model. To place your first order, visit the NomNomNow website. When you start the signup process, NomNomNow will prompt you to enter information about your cat, including her name, weight, goal weight, age, and any special health considerations. Based on this information, NomNomNow will give you a price quote for your trial order. After you place your first order, you’ll be able to customize your delivery frequency and modify your subscription at any time. NomNomNow cat food is delivered to customers in the 48 contiguous United States. Most customers will receive their food within 2 days of shipment. Get 20% off your first order, which includes samples of all the recipes NomNomNow. click here to visit NomNomNow.